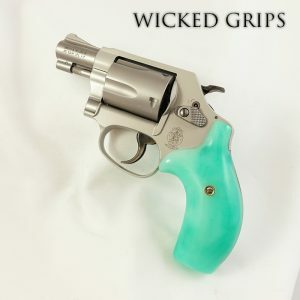 HANDMADE BY EXODUS GUNLEATHER FOR WICKED GRIPS, WE’LL ONLY BE OFFERING A LIMITED RUN OF 50 PIECES… THEN THIS EXACT DESIGN WILL BE RETIRED! 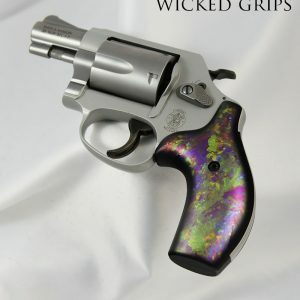 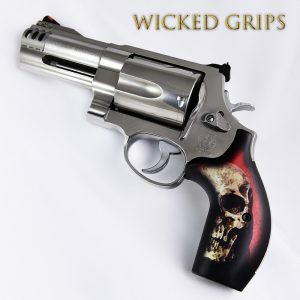 FEATURING THE WICKED GRIPS DOUBLE PISTOL LOGO! 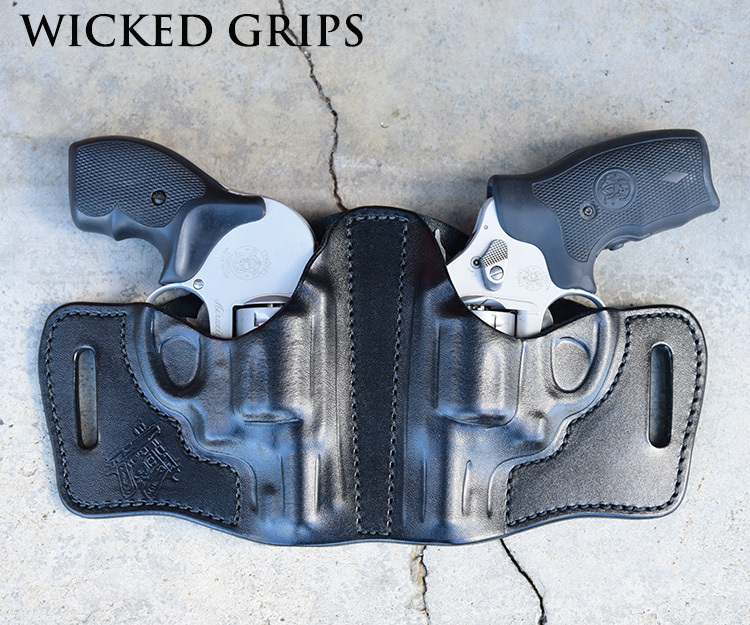 The Wicked Double J frame holster is constructed by hand using the finest cowhide from Hermann Oak Tannery in St. Louis, MO. 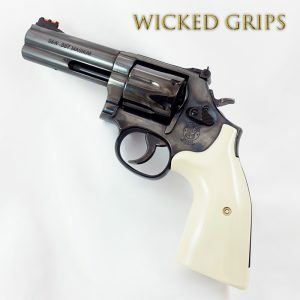 Hermann Oak has been family owned since 1881 and uses American cows making the Wicked Double holster completely American made. Hermann Oak leather allows us to provide you with the highest quality leather which equates to the most rigid cowhide holster that requires no lining.